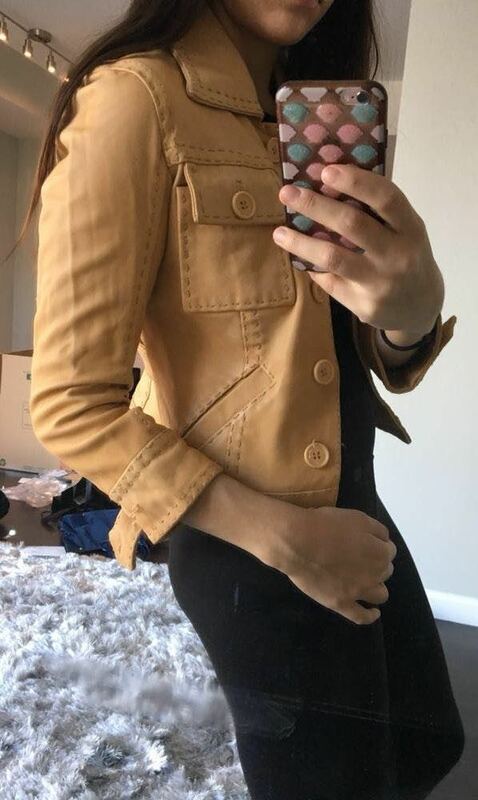 100% Leather jacket from Bebe in a peachy beige color. Stitching throughout jacket, button up style, and front pockets. Some wear on leather + loose threading on buttons but overall good condition.